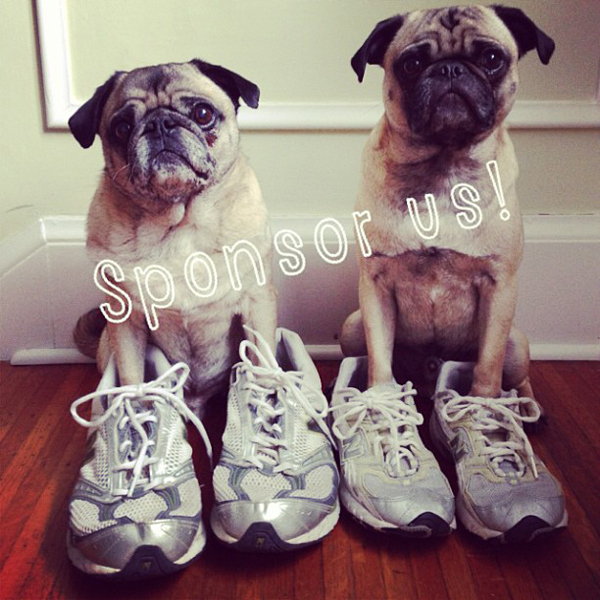 ljcfyi: Sponsor us for The Fast and The Furriest! Sponsor us for The Fast and The Furriest! Saturday, June 8, the pugs are lacing up their sneakers and walking with me at The Fast and The Furriest! It is a 5K, 10K, Dog Walk and Pet Festival to benefit the Rochester Animal Services. Oscar and Hugo want to help the pets that are less fortunate than themselves. RAS helps Rochester City animals by finding them homes, offering a spay/neuter program and educating the public. I am on the board of Verona Street Animal Society, the not-for-profit that works to help RAS and I manage their social media as a volunteer. I can attest to the hard work the volunteers put into helping all the homeless animals. But RAS is always in need... treats, cages, more adoptions, more awareness. Please sponsor us for the dog walk and help us to raise money for RAS. Any amount, even $5 is a help. The Oscar, Hugo and I thank you!! !